New Year’s Eve is always one of the busiest nights of the pyro calendar and this year was no exception, with technicians working all over the country. 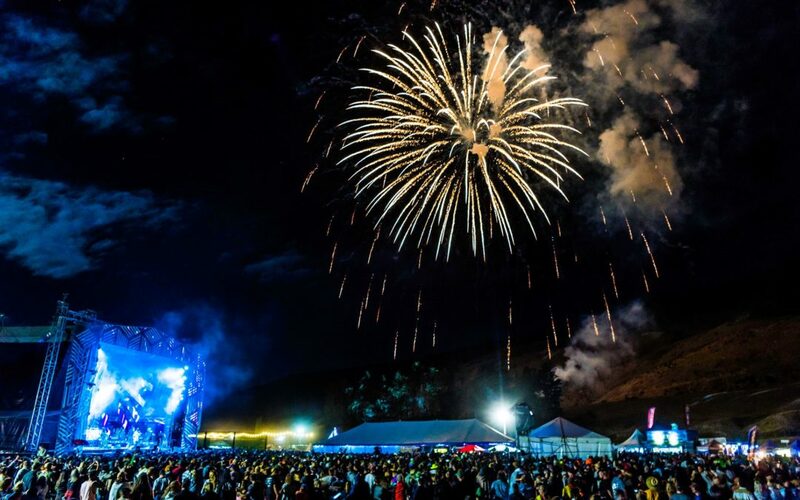 Firework Professionals fired shows as far north as Whangarei and as far south as Cardrona to the enjoyment of thousands of revelers. Fireworks really are a spectacular way to ring in the New Year. Firework Professionals is thrilled to have been invited to compete in the Hannover International Fireworks competition in September. We’ll be representing the southern hemisphere as we compete against teams from Italy, Norway, Romania and Portugal for the grand prize. The competition is held in the stunning Royal Gardens of Hannover Herrenhausen. The format includes one compulsory piece of music that all teams must use, while the remainder of the 30 minute show is open for teams to select their own music and design. Part of the requirements are that all competitors use the natural features of the garden to create a ground based display around. Selecting the best music to use is a crucial part of choreographing the pyromusical performance. The competition will be a real challenge that the team are looking forward to. Wish us luck!